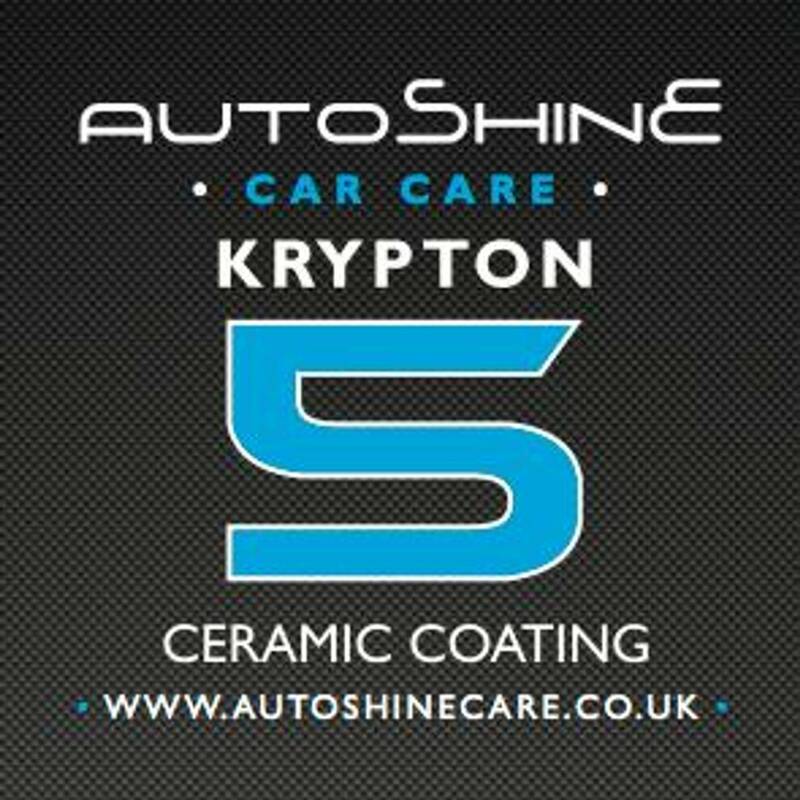 Do you want to learn how to care for your pride and joy the Autoshine way or are you looking for a new career in the detailing world....? You can achieve either of these goals by attending one of Autoshine's professional training courses tailored to suit your needs which vary from 1 to 5 day courses. You will undergo 1-1 intense and comprehensive detail training on prestigious vehicles ensuring our trainer's full attention at all times. Please note larger groups are also welcome. Following the sucessful completion of the course you will receive a certificate of attendance and access to our technical assistance thereafter. 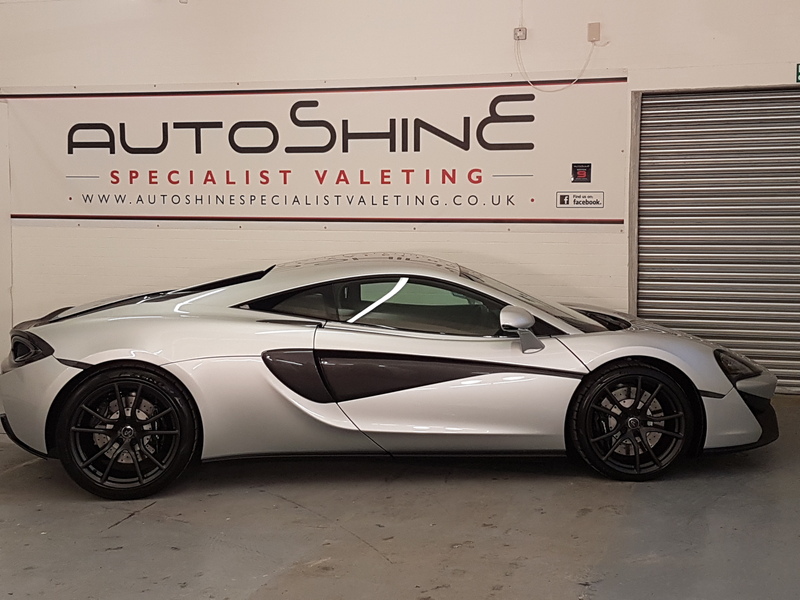 You will also become part of Autoshine's network of nationwide detailers benefiting from work referals in your area without the cost of a franchise. Please do not hesitate to contact us to request your course information pack, prices, course dates and further details of the points listed below, alternatively you can view our booklet under documents page. See below testimonials from some of those who have already attended one of our courses which we hope you too will be adding to in 2018. I just finished my 5 day intensive training with Tony, and I have to say it was an amazing experience. I looked around for a long time trying to find the best training program, and I have to say I truly chose the best. The training if 100% hands on, which means you get a lot of confidence and experience working with the buffer, and all the other equipment and products that AutoShine provides. Tony is an excellant trainer who provides tons of knowledge, from which products to use to applying different pressure on the buffer to get the best results. I have to say that I grew a lot in terms of detailing experience in the past week and now I?m ready to take to the next step and start my own detailing business back home in Romania. I really recommend the course to everybody from the inexperienced detailer who wants to start out to the professional who is looking to truly take it to the next level. Tony is a great professional and choosing his training courses will definitely be a great investment in the long run. You´re one of the best detailers out there is something everybody knows , but you also the best teaching guys like myself. My skills are growing fast since I learned to do things the proper way. In my center here in Barcelona my clients gets a part of your magic! 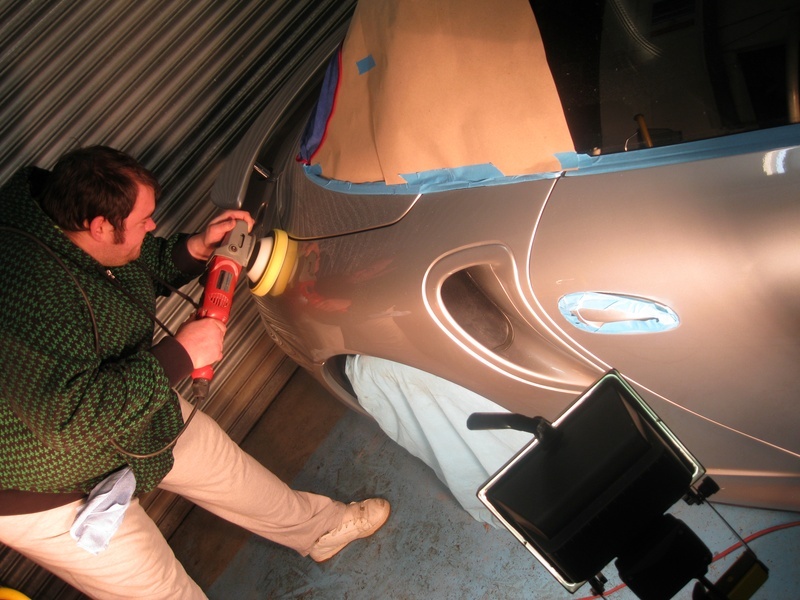 If, like me, you have a passion for specialised detailing in real detail or want to start up a new career in this field, then this is the course for you. I did the 5 day course one to one with Tony &, for somone who had never picked up a buffer, now feel confident to take on paint correction to bring out the best possible sparkle. Not only that, but most importantly, you get to learn which tools & products are needed as well as the tricks to achieve the best results. A complete procedure step by step from beginning to end. Tony?s the man to show you the magic! I did the 5-day intensive course with Tony and I have to say it was great. I did not have any experience in detail but with this course and with the help of Tony I learned a lot. I had the opportunity to work in a Porsche GT3 and it was beautiful. I feel confident to start my own business thanks to all the training and knowledge acquired in the course. I learned the techniques, products to use and best of all I met Tony and John are very nice people. Worth every penny I spent and enjoyed myself very much. I started my business WOW Detailing in Portugal. Just finished Tony' s 5 day intensive detailing training course. It is amazing how much you can learn from an experienced detailer in such a small period of time.What is even more amazing though is how much better a car cn look like when given a proper correction detail treatment using Tony' s methods of using a machine polisher in conjunction to the best polishing compounds and valeting products available in the market. Looking forward to starting my own business in Cyprus. Thank you very much Tony and you are more than welcome to come over to Cyprus for your holidays! I just wanted to say a big thanks for all i have learn't on my recent course, i can't believe how much i have grown in confidence since i completed my training with you, and this is reflected most in the quality of my rotary polishing and correction work. I did the 3 day course with Tony and was very impressed with the amount of knowledge and practical skills i aquired in such a relatively short time. 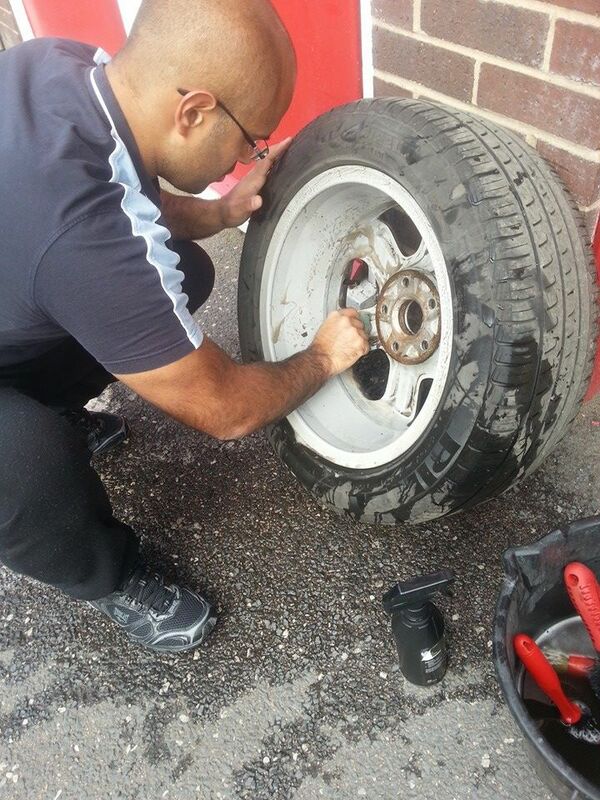 The course covered numerous aspects of professional detailing and i came away with a much greater understanding of methods and techniques. Tony built my confidence from day one and we soon got onto working with the rotary correcting swirl marks and scratches! I always felt at ease and comfortable whilst on the course and Tony was always willing to share his wealth of knowledge. I picked up some fantastic time saving tips while i was there. 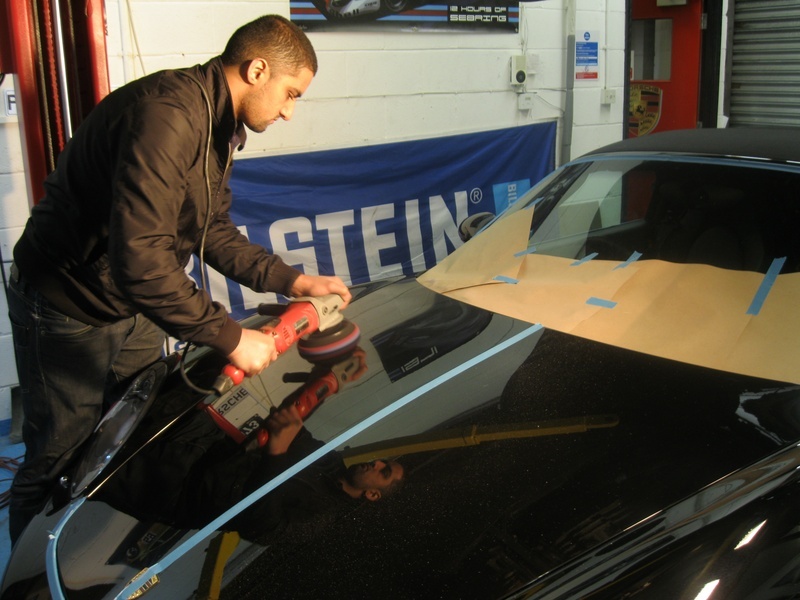 If you are looking to learn about all aspects of detailing from a Pro who has taught some of the countrys leading detailers in a relaxed but informative atmosphere then i would highly recommend this course. 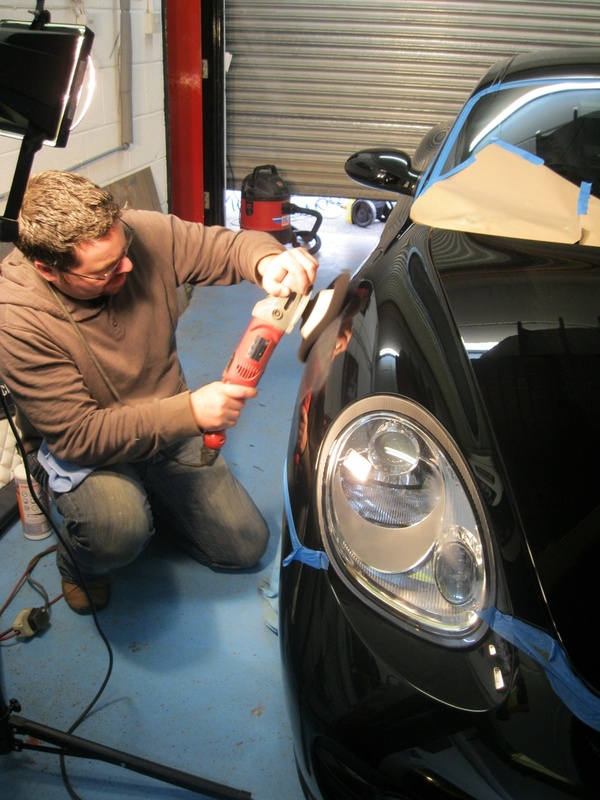 I have just got back from a two day training course with Tony at autoshine.wow what a course Tony's training is one on one and he show's you how to correct the paint work from swirls and scratches and more. You are hands on with all the ways that Tony knows and using all the good types of products that Tony uses in his day to day work. I would highly recommend Tony's training course to anyone, i have been in the valeting trade on and off for 20 years but have never got to grips with the finer detailing of machine paint work correction like what i have been shown. 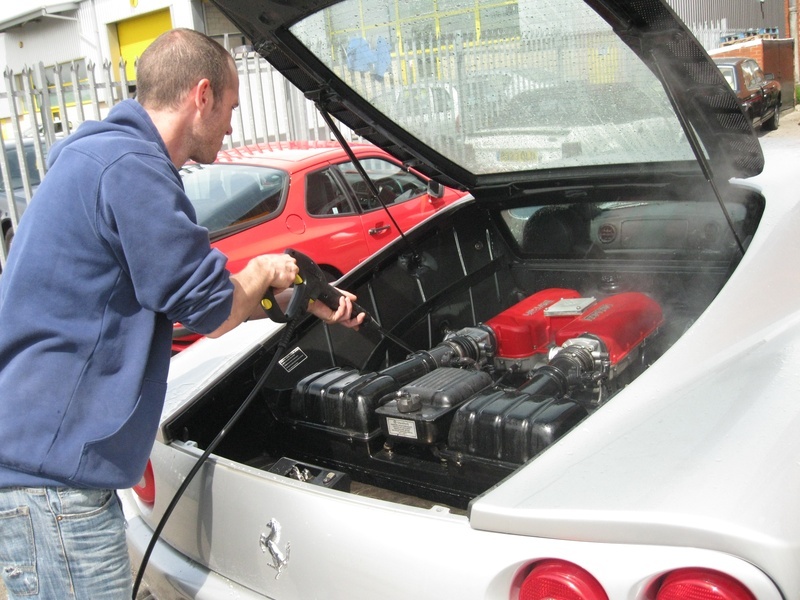 So if you are just starting up or you have been valeting for years you will improve to a high level on Tony's training course. Very good training course, very hands on training. More confident with machine polishing, but best of all was to see the finished car . Ive ran a top end valet service for over 13 years and decided i wanted to take my business to the next level. I did a correction course with Tony , i managed to correct a 5 year old black 3 series BMW to a perfect finish, so will be adding paint correction - detailing to my services. Thanks to the expert training i received from Tony. I would have no hesitation in recommending his training course. I found the training excellent and informative in a relaxed and well structured way. While the training was in depth and explanations reasoned Tony made the time enjoyable. The training will stand me in good stead for my future business venture and I believe I have an excellent source of help and information in Tony. Many thanks for the time and training. 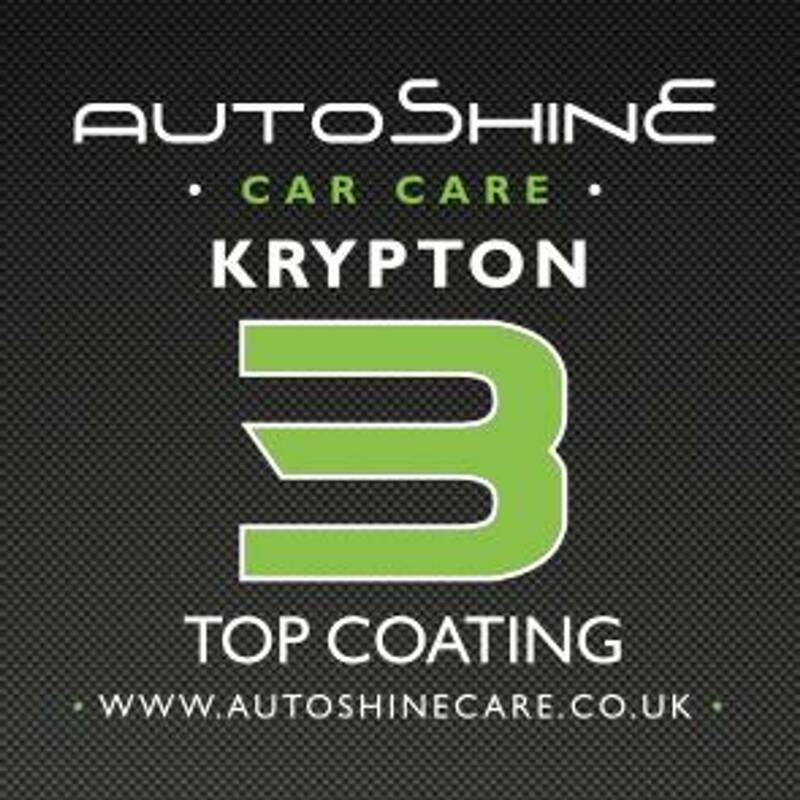 Just been on the paintwork correction course by Tony Spears of Autoshine and all i can say is WOW, what a course the things i have been shown and put into practice really are at another level there are no half measures with Tony and this shows in his work and his detailing courses. If your really wanting to take your self to the next level well this is the course for you. I have recently completed Tony's 3 day course, and was given a bit of a challenge,in the shape of a Motorsport 5 series BMW in dark metallic blue. The car looked in good condition, until it received a deep thorough cleaning, which then showed all of the swirls and scratches. 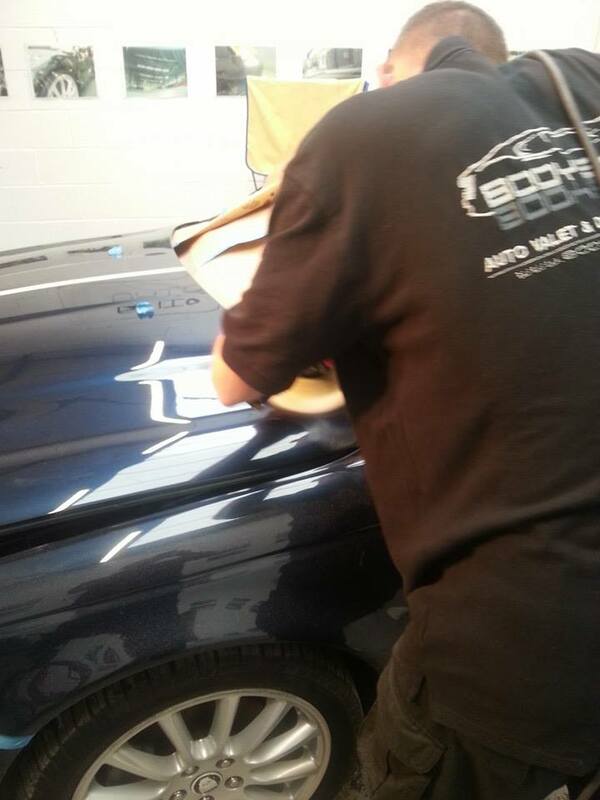 Tony's knowledge of paint correction, and the right products to use for the right job was very impressive. He asked alot of questions, and always knew the answers to all of my questions, and there was quite a few! We talked alot about different products on the market, and which ones really work, and not necessarily the most expensive. We taped off half of the bonnet to do a before and after, after a 3 stage polish, using spongue head, lambswool and then a final polish, we stood back to have a proper look, and the result was fantastic, all the swirls and scratches gone, and the true colour of the car was revealed. The car looked stunning once finished inside and out. The course was very long and very intense, but totally satifying. I learnt a great deal, and cannot wait to get started on a couple of classic Ferraris i have to do. Tony was very helpful and always willing to help with advice and even obtaining products for me.A thoroughly enjoyable and rewarding course. Having only started my business recently, I wanted to make sure I was able to give the best possible service to my existing and future clients. Tony’s 3-day course has certainly given me both the confidence and the knowledge to make that possible. The wealth of tips, advice and product knowledge Tony has to offer is second-to-none, and he will tell you what actually works in the real world, rather than trying to get you to use something because it’s the ‘latest in-thing’. The informal atmosphere made learning fun, and I felt like I had achieved a substantial improvement in the way I work by the end of the course. 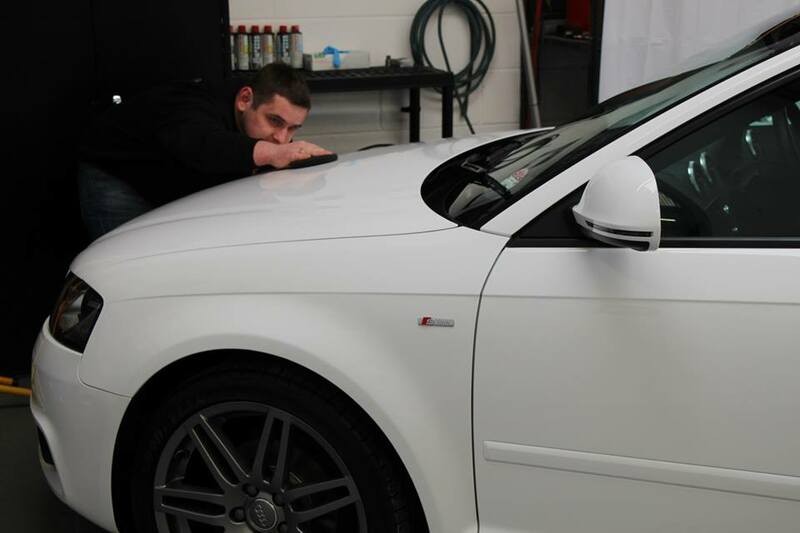 I would recommend Tony’s course without hesitation for anyone who wants to raise their game in the detailing business! Hi Tony . the course content was second to none .the amount of different skills we picked up were more than expected. 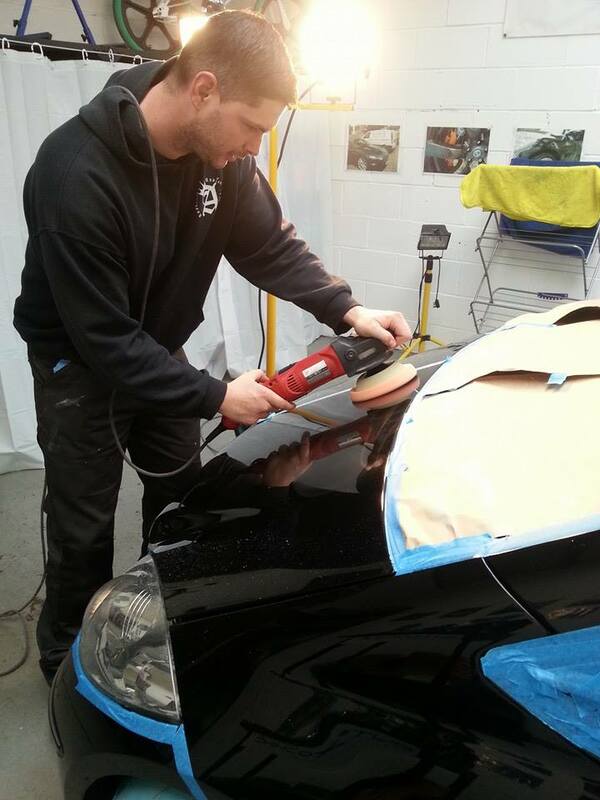 real hands on learning we would recommend your course to anyone looking to /like ourselves setting up a detailing and paint correction company. Thanks again for all the help and guidance on the 3 day course i completed with you recently. As you know i was only considering the 2 day course initially due to the skills i had already gained over the years, but i am glad i had the extra day as the course was very intense and rewarding. When i was searching for detailing training, i chose you because of the one to one 'hands on' you offered and having completed the course i am pleased it was the correct choice. I was apprehensive about rotary polishing before i attended the course and now feel much more confident down to your guidance. The wealth of tips, product knowledge and structured approach to detailing you shared was also much appreciated. I now feel i have taken my detailing skills to another level and will stand me in good stead for my new business. I would recommend Tony's course to anyone who want to take their detailing skills to a higher level. I have completed the 3 day course with Tony and i can surely say it was worth it. Tony is a good chap with a interpersonal skill which makes it easier to learn. I thoroughly enjoyed the course and at the same time learnt a great deal of stuff. Tony also helped me with getting started with getting started with my new business and offers phone support with new questions. I looked forward to this professional training for weeks and it exceeded all my expectations. Tony's practical knowledge and experience is second to none. He dedicated every minute of the 3 days to my training and I sincerely consider it was every penny well spent. He is truly a master craftsman in his profession. Having just completed a five day training course with Tony Spears I feel compelled to share my experience with others!! right from off set Tony was professional in all aspects of the training and gave me an in-depth,thorough and concise understanding of the techniques required for detailing and full correction. I Just completed a 3 day training course with Tony, very hands on got straight on with the work. I learnt how to get rid of correct paint work on cars, getting rid of swirl marks and fine scratches. Would recommend to everyone whether just starting car detailing or just to brush up on your skills you will definitely learn alot. I did the 3 day course back in Feb this year and it was superb. Tony Spears is a great coach and has a no nonsense, hands on approach with over 20 years of great advice and tips to get the best results, with the least effort and cost! Tony's course covers everything you need as a detailier and is a must if you are going to go into business, as it gives you the extra confidence, knowledge and skills you will need to be successful! I highly recommend it to anyone going into detailing professionally or otherwise. You get to work with high end cars, plus your based at Revoltion Porsche, so you are surrounded by cool cars all day, bonus! You will also receive a certificate stating that you've been approved by Tony Spears. Tony is the best in the business, so why not get taught by the best in the business. Don't just think about it, do it! You won't look back! Thanks again Tony, you are a legend! Good afternoon Tony Just a few lines about the training i received last week. Having decided to leave the Royal Navy after 25yrs i decided to get into the valeting a detailing business. Having spent many hours on the computer searching for a course that would provide me with the quality of training i wanted. The one name that came to the fore time after time was yours. Having spoken to you on the phone and looked at the brochure you sent to me. I took the plunge and booked the course. The course is run a one to one basis to ensure you get Tony's undivided attention and all of his knowledge is passed on to you in a very professional and interesting way. His knowledge is second to none and he has taught me a few tricks of the trade that can only be shown to you by some on that has spent over 20yrs in the trade. Tony also shows which are the best cleaning methods and chemicals available i was surprised at some of the the things he uses as they are very affordable and readily available and do the job better than the so called expert items that cost a fortune. The course was run in a very relaxed manner with Tony keeping the tea coming all the time he is very patient man and is willing to explains the whys and wherefores about what you are doing and the best methods to use. I have gained a wealth of knowledge in a very short time from a man who is first class in his field and takes great pride in what he does. Thank you very much Tony with out your little extra snippets of knowledge cleaned over lunch at the sandwich bar around the corner ( A Must visit place) it would have taken me considerably longer to get my business up and running. In my opinion the best detailing course available. Just completed my 5 day detailing course with Tony. And I can honestly say I have learnt a hell of a lot from him, his knowledge and expertise in the industry is second to none! And I would highly recommend anyone wanting to learn the art of detailing to get in touch with him. Hi Tony, I would like to say big thanks for all you taught me on 5 days course. 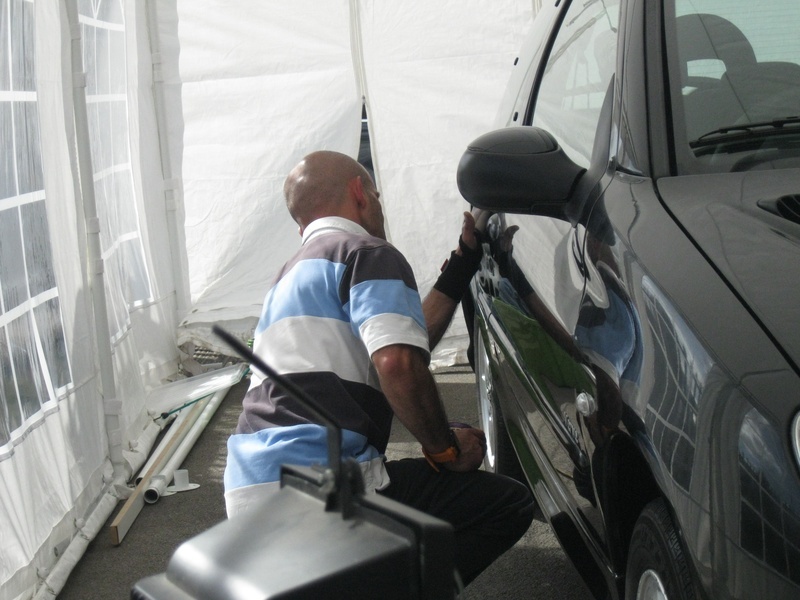 The training & knowledge of this man in the valeting & detailing world is truly exceptional. Went to tony to learn about detailing and I was really glad I went to him out of all the detailing companys out there as the amount of stuff he knows about detailing and also his products that he does are awesome. He teached me how to get rid of correct paint work on cars, getting rid of swirl marks and fine scratches and much more. I highly recommend it to anyone going into detailing professionally or otherwise. I'm sure you will be very satisfied with course and it will be the best spent money in your life. I am now looking forward to getting started on my own. Cheers tony.